I’m 27 and just learned narwhals are real. Here’s my journey. I say this because if you’re anything like me, you spent most of your life thinking the narwhal was a fictional creature. Recently, I was reading an ABC book to my 3-year-old nephew. 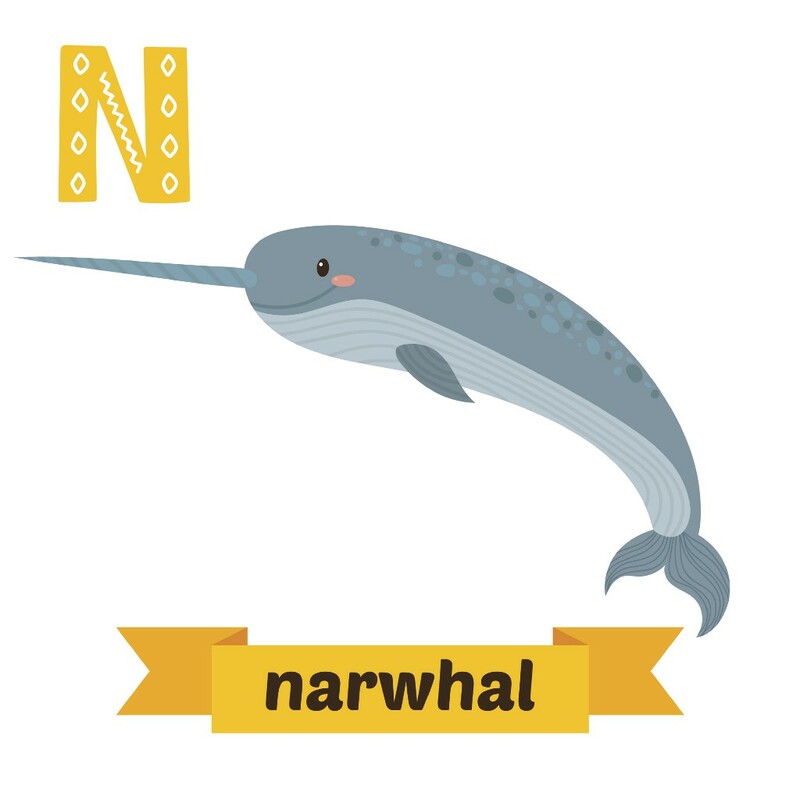 N was for Narwhal. I explained to my nephew that they weren’t real and was instantly corrected by my husband. I fell into a downward spiral of disbelief and unspeakable joy. Ok. Now that you’re past the initial shock, we can move forward together. Because if we’re being honest with ourselves, we have to admit: The fact that they exist is the least extraordinary thing about narwhals. Thank you for asking, but that’s not a horn. It’s actually an ivory tooth — one of two teeth the narwhal is born with. You know what they say — if you only have two teeth, make ’em count. Mainly in males, one of their two teeth grows straight through their upper lip. This creates the spiral tusk that can grow to be over eight feet long. Scientists have wondered for decades what the tusk’s purpose is — recently, they’ve concluded it’s a sensory organ. You might want to read this whole section again. It’s a lot to take in. What do you call a group of narwhals? I would never joke about something I care so much about. A group of narwhals is a blessing. Narwhals normally travel in groups of 15–20 but there have been reports of hundreds of narwhals spotted together. Which would be a true #blessing. Why have I never seen one at an aquarium? Because there are no narwhals in captivity. No, they don’t. 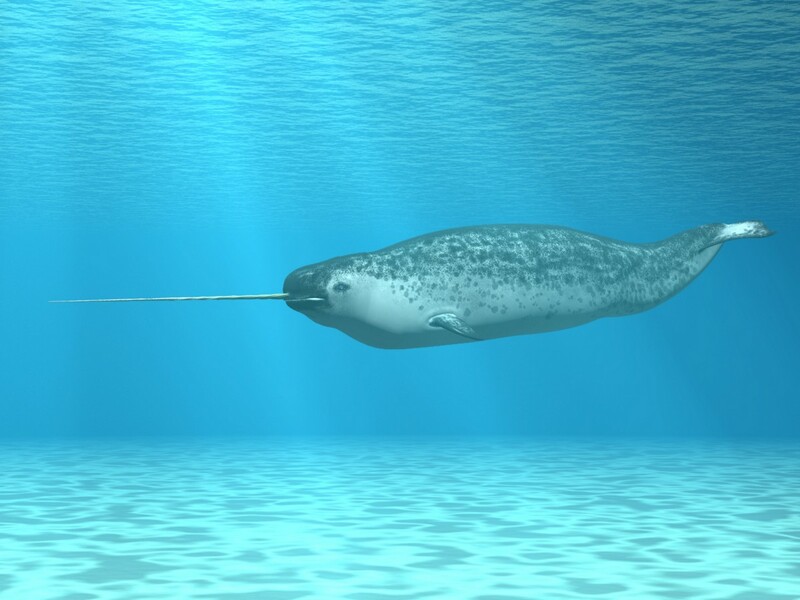 Humans have repeatedly tried to keep narwhals captive but they die within months. No one is exactly sure why, but the most likely culprit is something to do with their sensitive tusks. Or maybe they’re members of a suicide cult formed in reaction to Blackfish. If so, who could blame them? What are their main predators? As you can imagine, narwhals are pretty close to the top of the food chain. Their biggest threat is more elemental than anything else. Much like Jack Dawson, their main concern is ice. 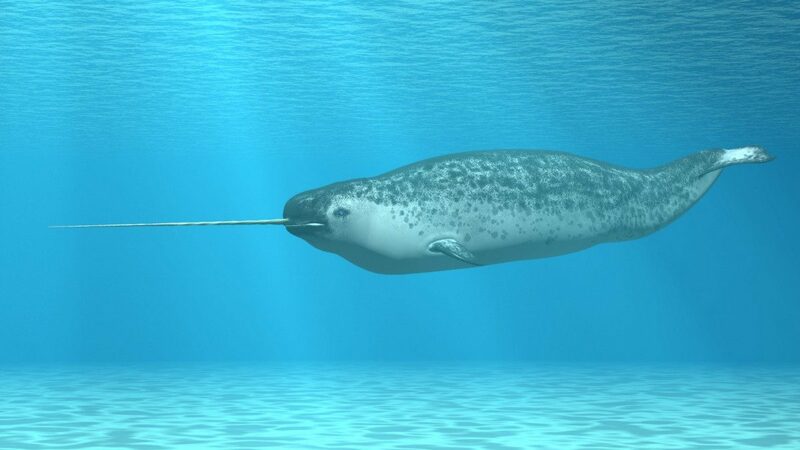 Since narwhals are mammals, they have to come to the surface of the water to breathe. However, if the water ices over, they could become trapped and suffocate — the leading killer of narwhals. Narwhals are hunted by killer whales, and on occasion, polar bears. Inuit people will also hunt them, since their skin is rich in Vitamin C, something very hard to find in an arctic diet. Unfortunately, they are also hunted for their ivory horn. It’s not a horn; it’s a TOOTH. Yeah. Buy me this shirt.